Modern-day plant explorers Sue and Bleddyn Wynn-Jones from Crûg Farm Plants will be taking inspiration from the incredible Edwardian plantswoman Miss Ellen Willmott and her renowned Mediterranean garden for an exhibit at RHS Chelsea Flower Show. Ellen Willmott’s love for her garden at Villa Boccanegra on the Italian Riviera, and her passion for supporting plant hunting expeditions to introduce wild species, will be central to Sue and Bleddyn’s design and planting for the show. Ellen was born 160 years ago but was ahead of her time in favouring plants for their diversity, bold leaf form and architectural structure, rather than following the Edwardian fashion for exotic blossoms and blooms. Highlighting plants for dry shade from their own collections, many of which will have not been seen before at Chelsea, Sue and Bleddyn will be assisted at Chelsea by the current owner of Villa Boccanegra, Ursula Salghetti Drioli. 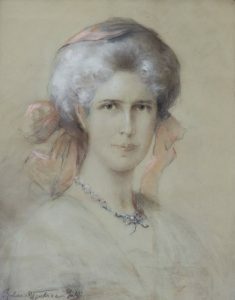 Ellen (1858-1934) was one of two women to be awarded the first RHS Victoria Medal of Honour, the other being Gertrude Jekyll, and the first female to be elected to the Linnean Society. Many plants bear her name including Miss Willmott’s ghost (Eryngium giganteum) & Chinese plumbago(Ceratostigma willmottianum). She funded Edwardian plant hunting trips while her gardens in the UK, Italy and France were famed for their horticultural treasures. Many of these still survive at Boccanegra under the skilful attention of biologist Ursula’s expert care, including the speciesRuscus which will feature on Crûg’s Chelsea display, as will copies of Miss Wilmot’s original notes and planting lists. Crûg will be demonstrating more unusual planting ideas for dry shade underneath Oreopanax, as well as those that are heat tolerant. They will be showcasing plants such as Aspidistra, Ophiopogon and Ruscus as well as a sprinkling of others, mostly collected by themselves on their many expeditions and all true to Ellen’s love for structure and form. Near neighbour Giardini Botanici Hanbury, also known as La Mortola, established by Sir Thomas Hanbury, who gifted Wisley to the RHS. The two gardens regularly shared newly introduced rarities in those early years of the 20th century, such as Aspidistra. The current Lady Hanbury is a close friend of Ursula at Boccanegra and her husband Guido Piacenza, another keen plantsman. Just a stone’s throw over the French border is another closely allied garden, Serre de la Madone in Menton, created by Lawrence Johnston of Hidcote. Again, records show that plants were regularly shared. It now grows a huge range of Crûg’s wild collections in its shaded gardens, where collections of Araliaceae flourish. Les Cedres, or Jardin Botanique Les Cèdres, the largest private botanic garden in Europe. 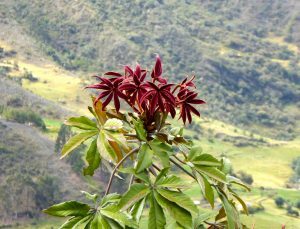 It was acquired by King Leopold II of Belgium in 1904, who reputedly financed the collecting and introduction of countless species of Oreopanax from Colombia, a plant that was in great demand in exotic plantings from the mid 19thcentury until the First World War. Oreopanax is another focus of the Wynn-Jones’ plant passions as they have extended family in Colombia and visit regularly. Lastly, La Mouissone in Grasse, a younger still developing garden that has been involved in this eclectic mixture of British influence. Established and still being developed in a mature olive grove by Lady Lockett, a member of this Mediterranean gardening circle and a keen supporter of Crûg Farm Plants. She maintains an extensive selection of Crûg’s collections in Grasse. As holders of a rarely issued, ongoing official Scientific Licence from the Animal and Plant Health Agency (APHA), Sue and Bleddyn have travelled across the globe, scaling mountains and volcanoes, exploring hidden canyons and even dodging armed bandits to seek out elusive specimens. They make sure they only collect plant material at equitable environments to ensure plants will survive the UK’s climate and, once back home, the couple follow strict quarantine rules to guarantee biosecurity, overseen by APHA. They also work closely with experts from government agencies, botanic gardens and universities in the countries they collect in, sharing knowledge, specimen and seed. Thanks to an introduction via Moscow State University, they are currently working with Batumi Botanical Garden in Georgia, helping to safeguard varieties of Ruscus. 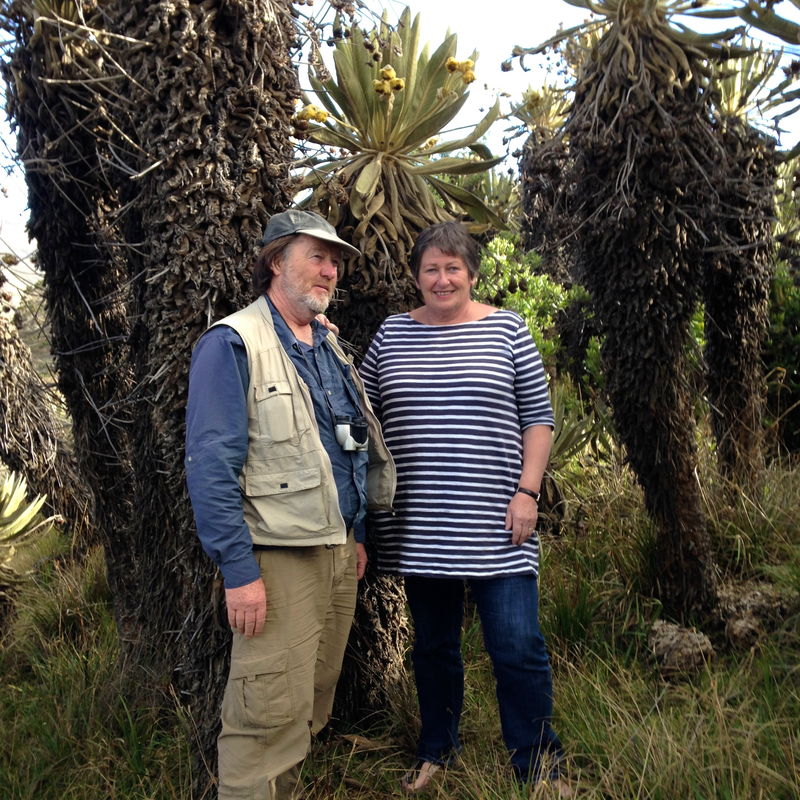 When an earthquake in Taiwan threatened to wipe out a rare native plant in the 1990s, Sue and Bleddyn were able to help with plants from seed they had collected a few years earlier. Over the years they have collected Ruscus from the many countries surrounding the Mediterranean and beyond, and Oreopanax from South and Central America, particularly Colombia. Aspidistra has a centre of diversity in northern Vietnam and southern China, radiating out to many of the surrounding countries. Ophiopogon is found in the Himalayas and all through South- East Asia. NOTES FOR EDITORS: Crûg Farm Plants is based on the edge of Snowdonia near Caernarfon in North Wales. Covering almost 20 acres, the nursery specialises in unusual herbaceous perennials, climbers, trees and shrubs, and hundreds of the plants on offer are propagated from nearly 18,000 collections gathered on well over 50 expeditions by the Wynn-Joneses. These range from Anemone to Zelkova and everything in between. As only a small number of people to do this work, their collections are much sought after around the world and the nursery has become a mecca for keen gardeners and scientific researchers. They have provided plants for many prestigious clients including several award-winning RHS Show gardens as well as supplying The National Trust, Botanic and Royal gardens.